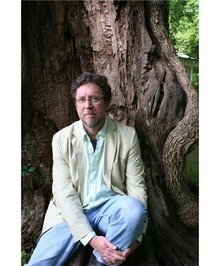 Tom Franklin is the author of Poachers: Stories, Hell at the Breech, and Smonk. Winner of a 2001Guggenheim Fellowship, he teaches in the University of Mississippi’s MFA program and lives in Oxford,Mississippi with his wife, the poet Beth Ann Fennelly, and their children. Welcome to FN. Happy to have you. Hey Tom. Glad you're here. Welcome to Fictionaut. I loved Poachers, also. Your interview is much appreciated at this site. I look forward to seeing more from you. Mr. Franklin, welcome. In the event you cast an eye again to this part of the lit world, I'll take the time now to say that Poachers was a fine, fine collection. And now I'm going to have to read Crooked Letter, Crooked Letter. A must. Again, welcome, and thanks for your writing. It rocks. You must log in to write on Tom Franklin's wall.